Not so long ago, medical facilities were running solely on paper records. Staff wrote down all of their notes by hand, filed each piece of paper into filing cabinets that took up way too much room, and transferred billing and insurance information by hand or by mail. The good old days, right? Not so much. Now, we’re lucky to live in a world full of computers and technology. The type of technology that allows the medical world to say goodbye to papers and mail and switch all of that work over to something called an EMR. 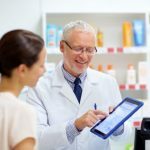 EMRs–aka electronic medical records–allow your practice the ability to do all of that documentation and billing right on a computer or tablet. But what if your EMR is just as much of a hassle as those paper records you used years ago? This shouldn’t be the case. In this blog, we’ll discuss all of the signs to know that your EMR isn’t being as functional as it should be and how to fix it. Do You Need Help With Your EMR? Better, faster documentation should be something your EMR provides your physicians. 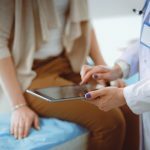 If your staff is spending more time trying to punch numbers into the computer and less time visiting with their patients, that’s a sign your EMR isn’t working the way it needs to be. Because patient care is so important to your physicians, it’s likely they’ll skip the hassle during the visit and work after hours to catch up on patient documentation. This extra time isn’t necessary and could send your physicians into physician burnout. For your medical practice to function productively, it’s imperative that all of your counterparts work smoothly together. In other words, if your billing and insurance companies aren’t integrated into your EMR system, or if your physicians aren’t fully understanding how to use the system, then huge bouts of miscommunication are possible. It’s suggested that before your EMR system is even implemented into your practice, you and your staff undergo detailed training to learn how to properly work the system. However, even in practices whose employees receive months of training, the learnability gaps between novice and expert users is quite large. Even the most skilled EMR users need to be trained regularly on the system due to the changes in regulations and software. In this case, hiring a company that can provide ongoing EMR support may be a great solution. More on that later. Your EMR system–being electronic–should be able to easily relay the proper information to other systems within your practice or with outside vendors. Much like the inability to effectively communicate between your billing vendors, if you’re having a difficult time communicating between any other systems, it’s time to look into getting some EMR help. So you’ve reached out for that EMR help–but no one on your provider’s tech team can seem to help. If it seems like problems keep piling up on you and your staff and you aren’t able to receive much help from your EMR tech support–that could be a sign that something isn’t right. Electronic medical record software is a complex system that requires proper set up and support to run efficiently. If you aren’t getting the help you need, odds are it’s time to look into finding a company that can help you integrate into your system better. If your physicians are unable to correctly document information into your EMR, there’s a chance that something isn’t working correctly. As we mentioned before, EMRs have quite a large learning curve. Therefore, it may take some serious time and dedication to learning how to navigate the system properly once it’s already implemented into your practice. If issues with your EMR are piling up so high that you spend your time wishing you could just get rid of it, that’s a sign your practice is in need of some major assistance with your system. 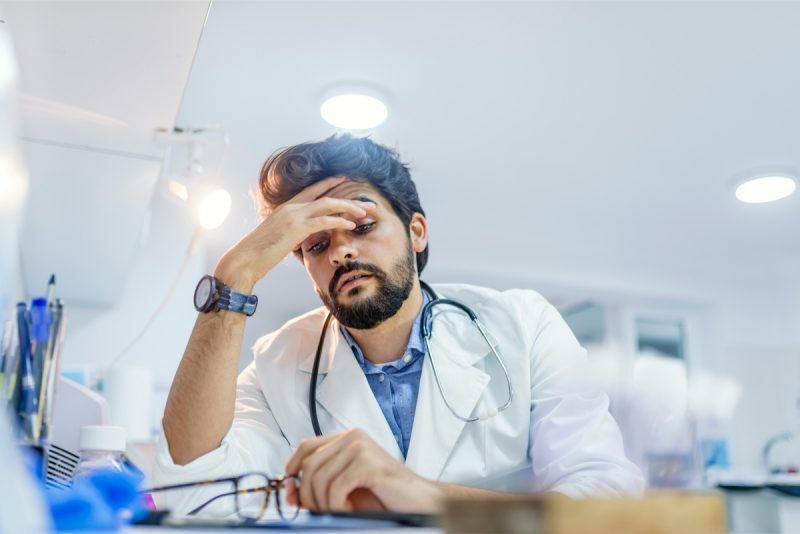 Like we mentioned before, all that extra time you and your physicians spend on correcting mistakes or charting patient records is contributing to more stress which can eventually lead to burnout. There’s no doubt that you already work hard and that you love what you do, but getting overwhelmed with EMR by spending too much time trying to do your day-to-day tasks is yet again another sign that your practice needs help with your EMR. A happy physician is a happy practice. At least that’s what we think! At the end of the day, it all comes down to what your physicians and medical staff have to say about the software. If it’s difficult to fully document information during a patient visit or if there’s a need to chart information after hours–they probably aren’t very satisfied. Any and all of the signs listed above are a cause for you and your physicians to be overwhelmed. Whether your EMR setup was poorly implemented, your staff isn’t properly trained on your software, or you EMR just doesn’t function the way it should–don’t lose hope yet. There’s a way to get your practice up and functioning the way it should. As you can see, there are plenty of things that can go wrong with your EMR–and you shouldn’t feel discouraged about needing some help! Your EMR system should help foster a more productive and effective practice–not the opposite. If you have noticed any of the signs listed above, it may be time to consider looking into support for EMR in your practice. How can DataMatrix Medical help? At DataMatrix Medical, we work seamlessly with your EMR software to transcribe and document important patient data for physicians. A team of highly trained specialists are assigned to each of your physicians to transcribe their patient notes for them, allowing them to spend more time with their patients and less time navigating the EMR software. We know that your electronic medical record software isn’t something you can master overnight. Therefore, we offer EMR documentation support throughout our partnership together to help you and your physicians better understand the software that you’re using–and that we’re transcribing into. Like we said before, don’t be discouraged just yet! Trying to implement a complex system into your already busy practice is something that takes time and a little bit of help. At DataMatrix Medical, we can help you do just that through our medical transcription services. To learn more about EMR and Successful Strategies to Mitigate Burnout at Your Practice, download our free guide. Or, for more information on our services, or to schedule your free trial, get in touch with us today!